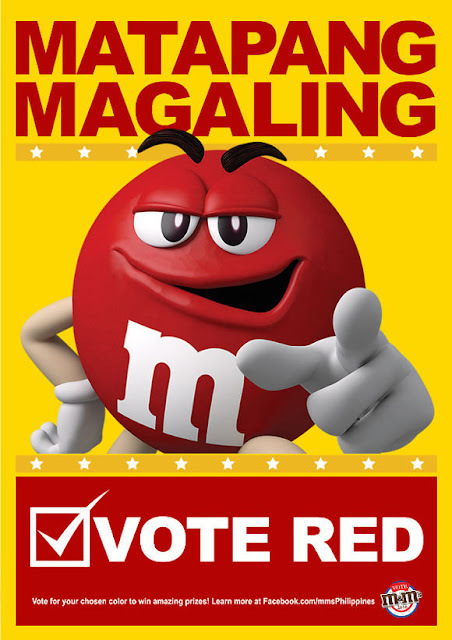 M&M’s® Characters are Running for Election of the Year! 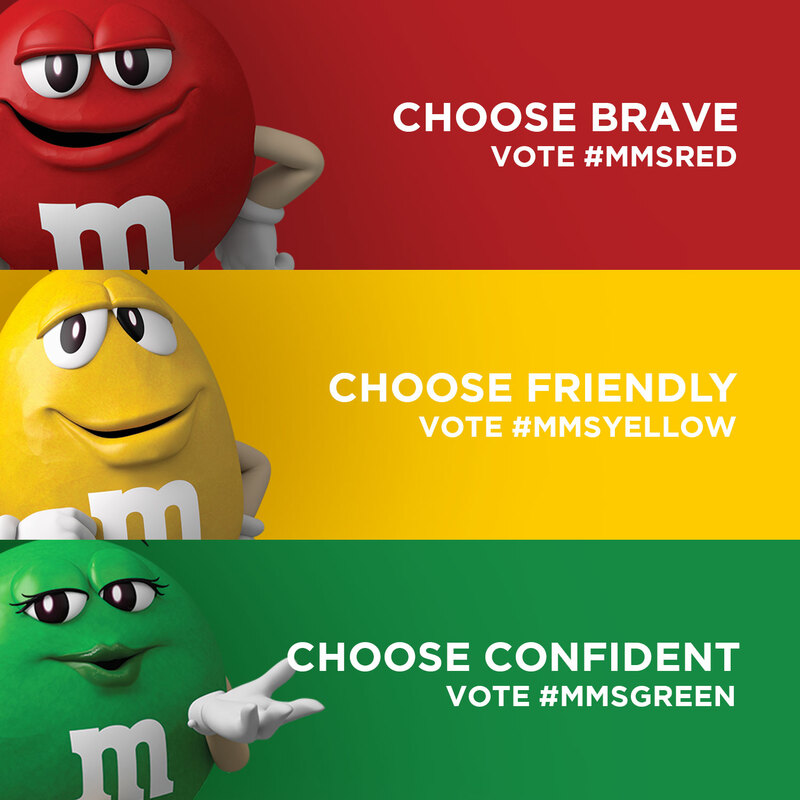 M&M’S® has launched the Vote M&M’S® 2016 Campaign, giving the public a chance to vote for their favorite M&M’S® candydate, Red, Yellow and Green. Isn’t exciting? Who's your favorite candydate? 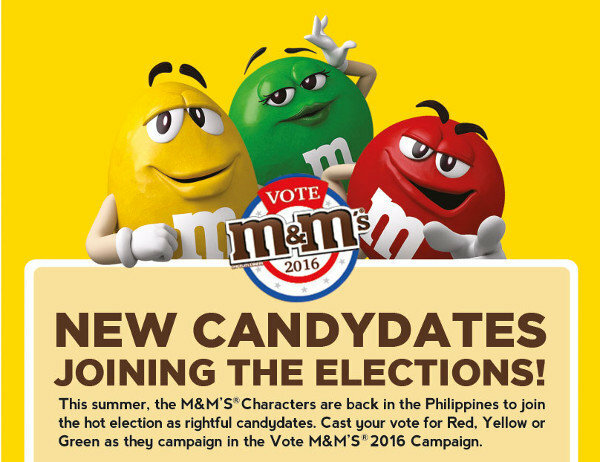 I’m inviting you to join the election fever with the M&M’S® Characters at the Vote M&M’S® 2016 Campaign. The Philippine election is getting hotter and hotter just like the summer season. But there's a new election you should also be aware of. 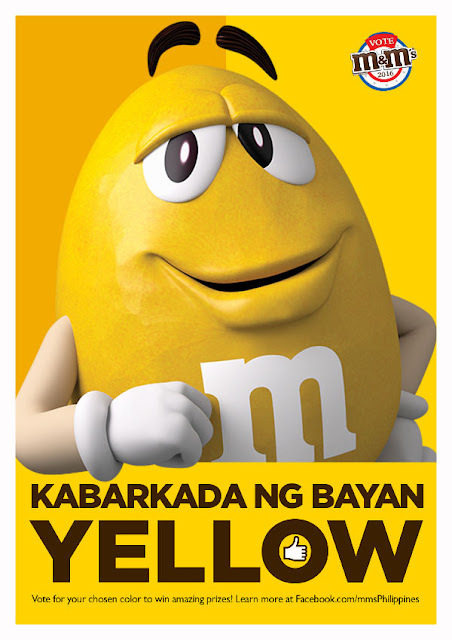 This summer, M&M’S® is bringing their own brand of spontaneous fun to the Philippine elections. Cast your vote for any of the three M&M’S® candydates and vie for a chance to win cash prizes and M&M’S® merchandise. Still can’t decide who to support? Then don’t miss the chance to see all three candydates as they rally for your vote and go around Manila to campaign. Be a part of the Miting de Avance, happening on April 22, 2016 at the Makati Coliseum. Meet & greet the three candy-dates and hear them out as they rally for your vote. Get your photo taken at the photo booth and cast your votes for your chance to win fun prizes! Or catch the M&M’S® Motorcade happening in selected barangays and more fun M&M’S® Vote activities at selected LRT Stations happening this summer - cast your vote, play fun games and win M&M’S® products! For the schedule of activities, visit the M&M’S® Philippines Facebook page. And if you want to vote at your convenience, simply post the caption of your choice on Facebook, Twitter or Instagram to win prizes weekly! Remember the dates! Voting period is from April 15 – May 15, 2016. Then watch out for the announcement of the M&M’S® winner of the Vote M&M’S® 2016 Campaign on May 20, 2016 online. So will it be “Matapang and Magaling” Red, Kabarkada ng Bayan Yellow or Ang Confidently Smart Bae-yani Green? 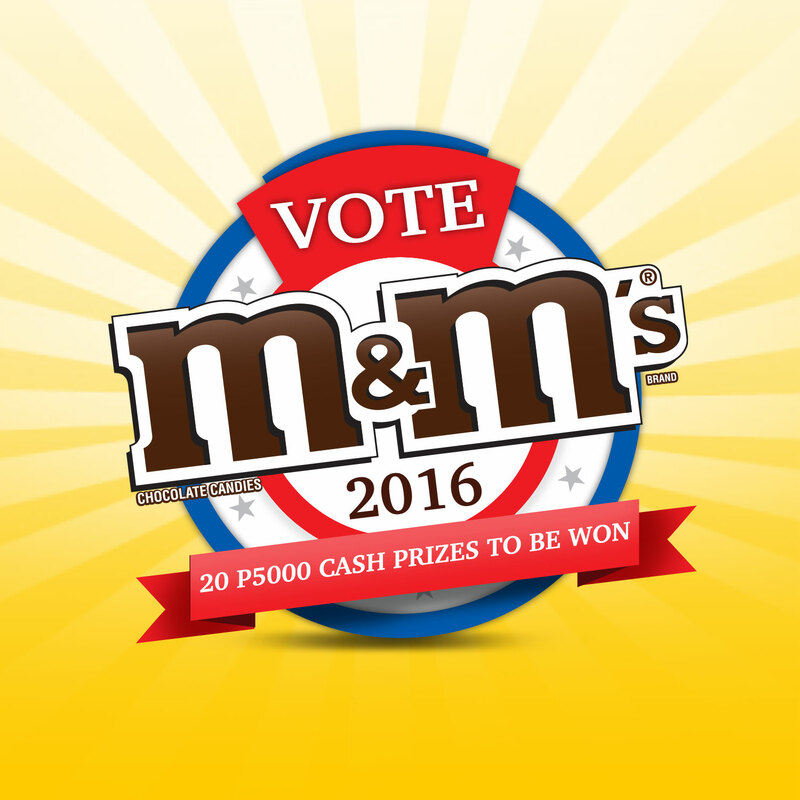 Make your voice heard and support your favorite candy-date at Vote M&M’S® 2016 Campaign! Want to know who am I supporting? Oh well... I'm voting for “Matapang and Magaling” Red! He is definitely the perfect choice! Let's support and vote for RED! Don't forget to use the hashtag #mmsred on your social media accounts when voting. 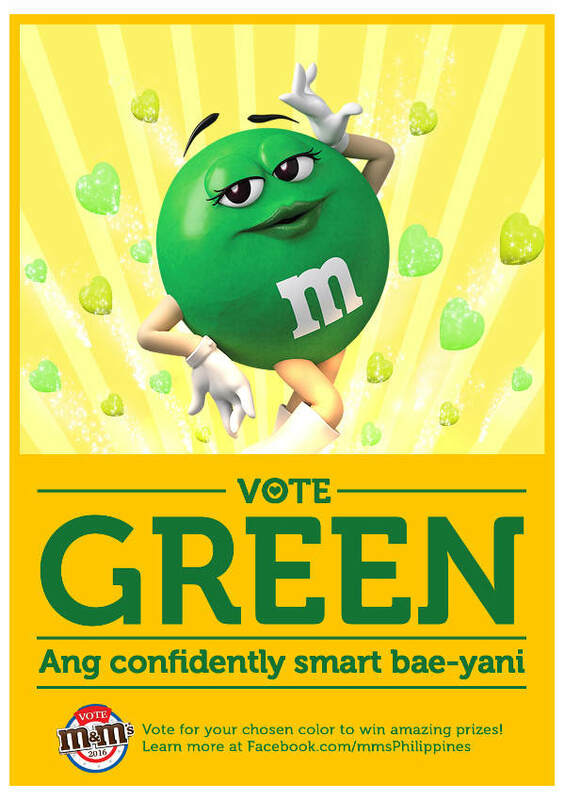 Visit the M&M’S® Philippines page on Facebook for more information on the Vote M&M’S® 2016 Campaign.